If you are preparing to file for divorce or are currently in a pending one, you might be wondering about the process for changing your name back after it is finalized. Here’s a look at the process in Florida for changing your name after a divorce. In the event you don’t have the certified divorce decree yet, you can obtain a Divorce Records Request Letter. For those who are missing their birth certificate, the Birth Certificate Request Letter can also work. Your divorce decree needs to restore your former name in order to proceed. If there is no provision that restores your previous name, then you will need to contact the court who handled your divorce and request an amendment. Depending on the court, an amendment may not be allowed. If it is denied, then you will need to proceed with a petition for name change. Once you’re in possession of your divorce decree, you will need to contact the appropriate government agencies to make the change. You will need to visit the Social Security Office and bring your filled out Social Security Form SS-5. The staff will verify your documents are in order and give you a certificate that shows your name change is being processed. In the event you don’t want to go in person, you can mail your form along with certified copies of all your documentation, which will be returned in the mail. For your driver’s license and any vehicle registrations, you will need to head to the DMV. For vehicle titles, you have to complete a title transfer, which has to be done within 30 days of your name change. For your driver’s license, you will need to present your documents and pay a license replacement fee. If you have a passport, you will need to get a new passport issued as soon as possible, especially if you have any upcoming international trips planned. If you are getting divorced and plan to book a trip, be cautious what name you book tickets under. If you book your plane ticket under your married name and then you have your passport changed, you could lose out on your ticket. The same would apply if you book your ticket under your maiden or previous name and the paperwork is not completed in time. If you don’t get your new passport back, you will be unable to fly as well. Other items you will need to change include bank accounts, credit cards, gym memberships, employment, real property, retirement accounts, insurance, e-mail addresses, utilities, and more. 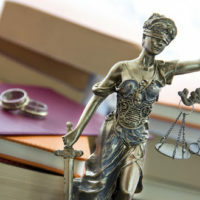 If you are preparing to file for divorce, or have been served with divorce papers, you need a knowledgeable Florida divorce attorney to help you through this difficult process. Contact the Law Offices of Schwartz | White to schedule a consultation and let our team help protect your assets and rights during the divorce process.